When considering a federal trademark registration / application there are a number of matters to consider, namely (1) what exactly is the marks you want to register; (2) what are the goods or services that the mark is being used for. ; and (3) have you actually begun using the mark or are planning to use it in the near future. When considering a trademark registration it is important to determine what your mark is and the best way to protect it. Is it a clearly defined set of words? Does it always appear in a logo form? is it a variation on an existing mark? An attorney can help you with this process to evaluate what your mark is and the best way to protect it. In addition to clearly identifying the mark, it is important to clearly identify the goods and/or services to which the mark will apply. This must be done in a clear and precise manner to identify how the scope of protection you are claiming. Additionally, selection of this wording can impact the scope of your protection as well as aid in insuring that other marks will not block you registration. 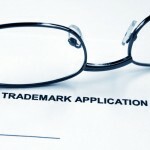 In the United States, applicants for trademark protection do not have to be using the mark in order to register it with the United States Patent and Trademark Office (USPTO). This has obvious advantage if you are in the early stages of product development and need to reserve a name for future use. By filing an intent to use application, you can make a claim on the mark before you begin to sell your goods or services. This can be done up to three years before a product is publicly available. The application process requires some analysis of existing marks and a determination of the best classifications and descriptions to use in order to provide the broadest protection. Kunkle Law, PLC can assist you in selecting the right registration for you. Applications are filed on a flat fee basis. The fee includes a knock-out search, drafting and filing the application, tracking the trademark application through the registration process, and responding to initial office actions. Pricing: $800 for up to 3 classes ($100 per each additional class), plus Government Registration Fees: $275-$375 per class.